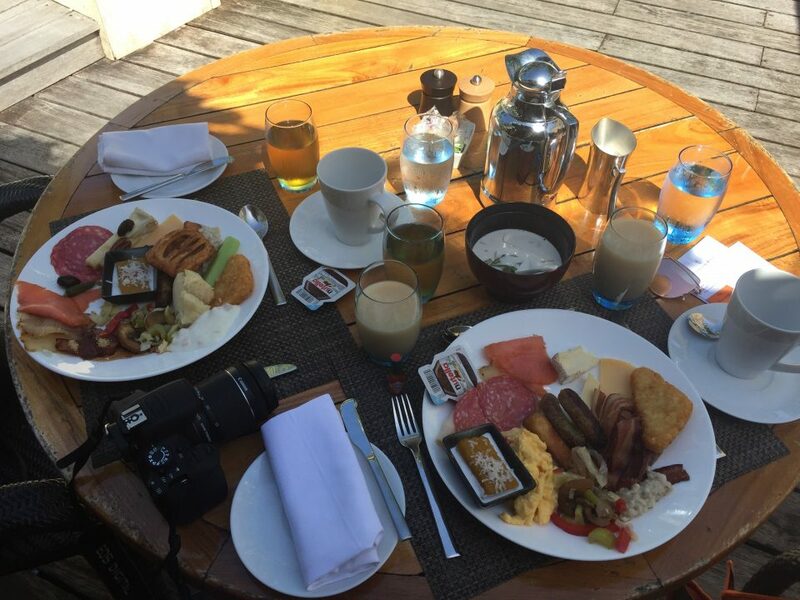 Our first breakfast buffet, a gorgeous display of local favorites. 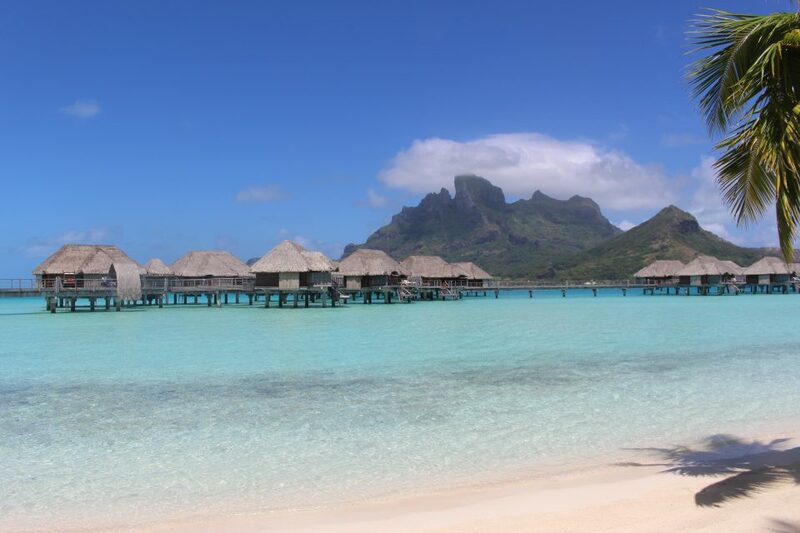 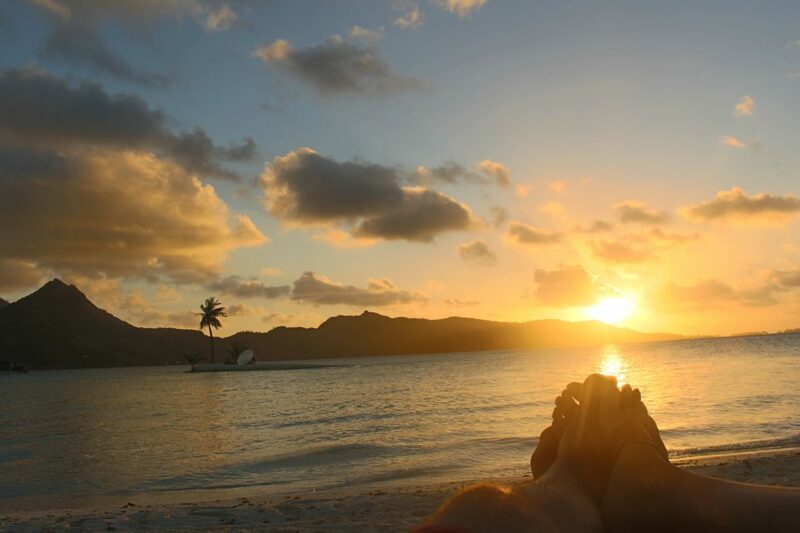 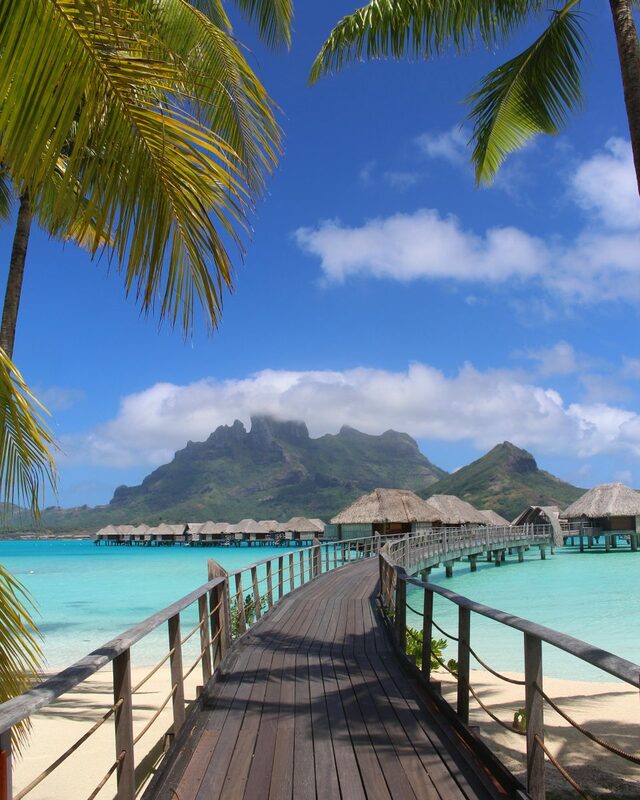 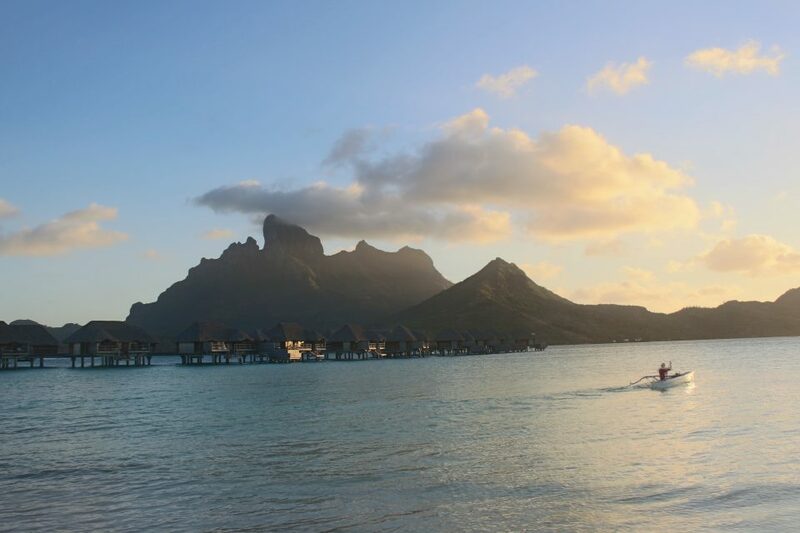 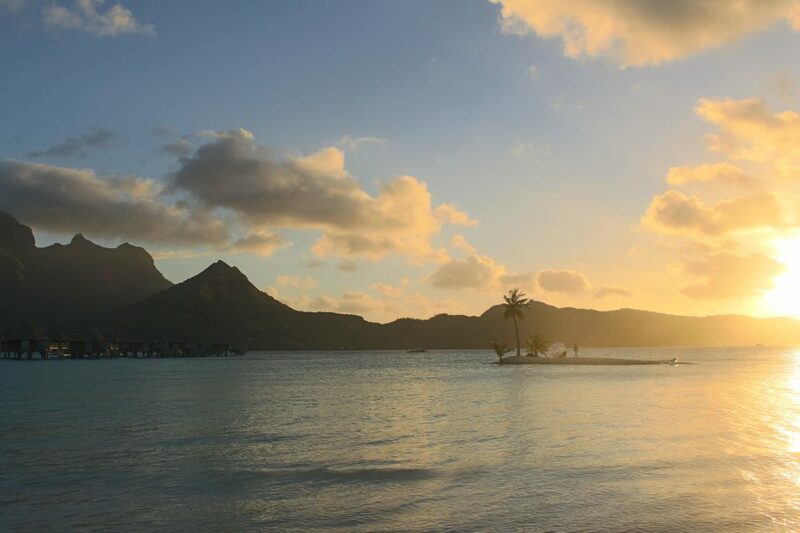 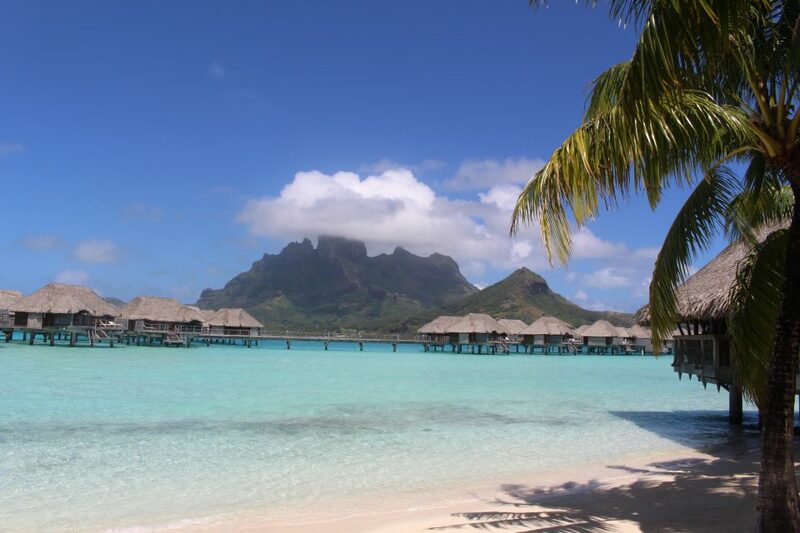 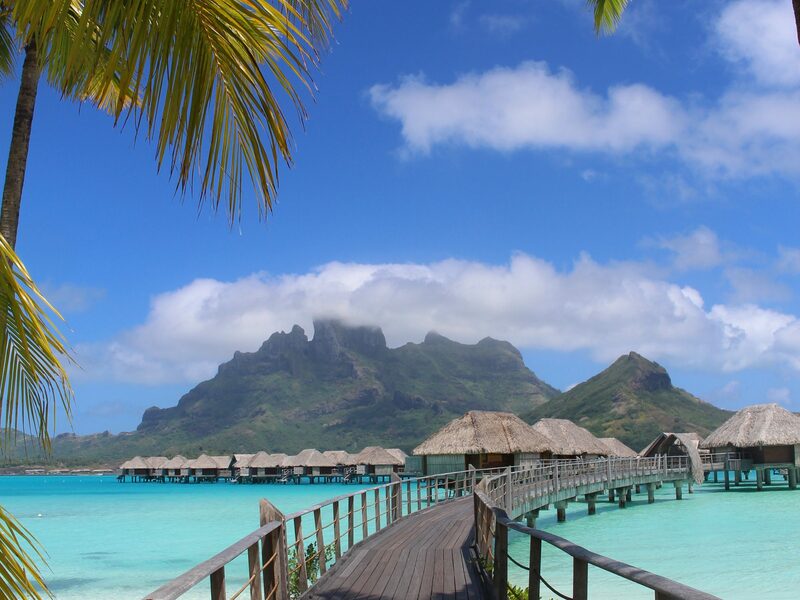 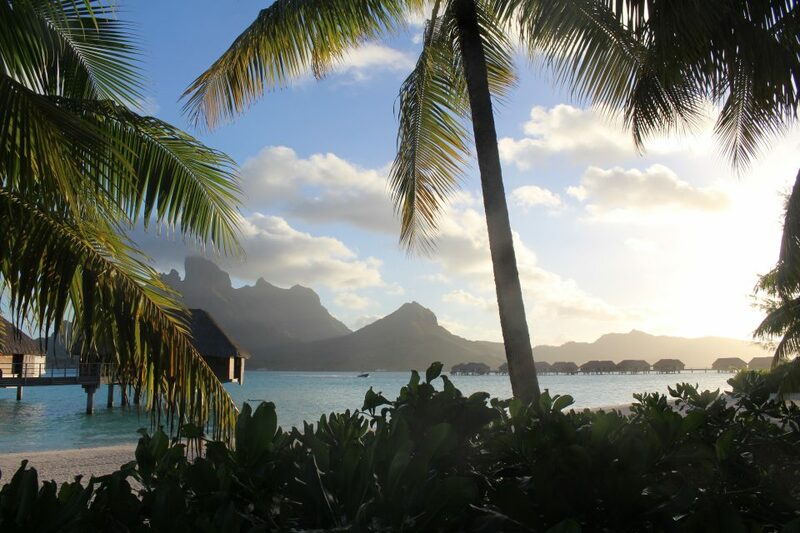 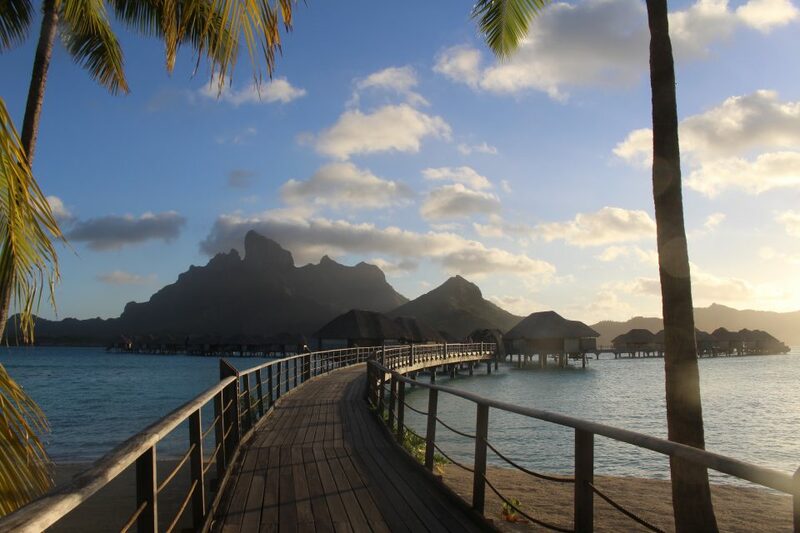 A beautiful shot of the famous overwater bungalows in front of Mount Otemanu. 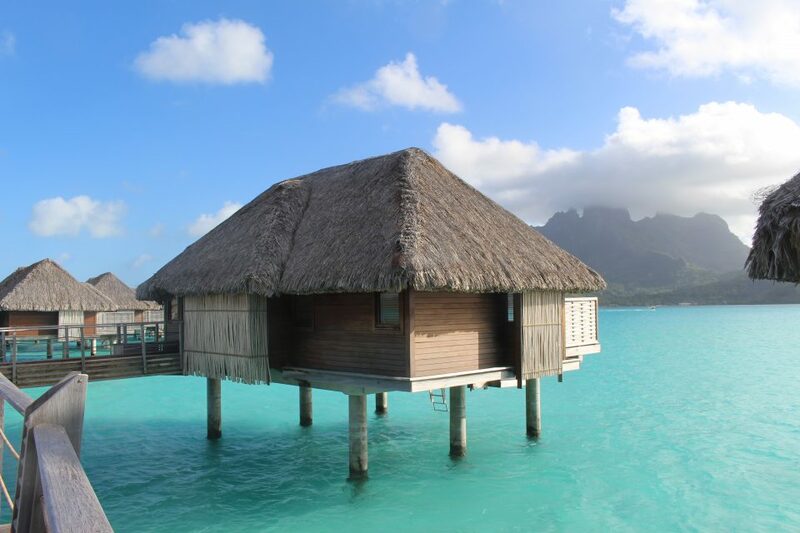 Jennifer’s ultimate dream hotel and destination. 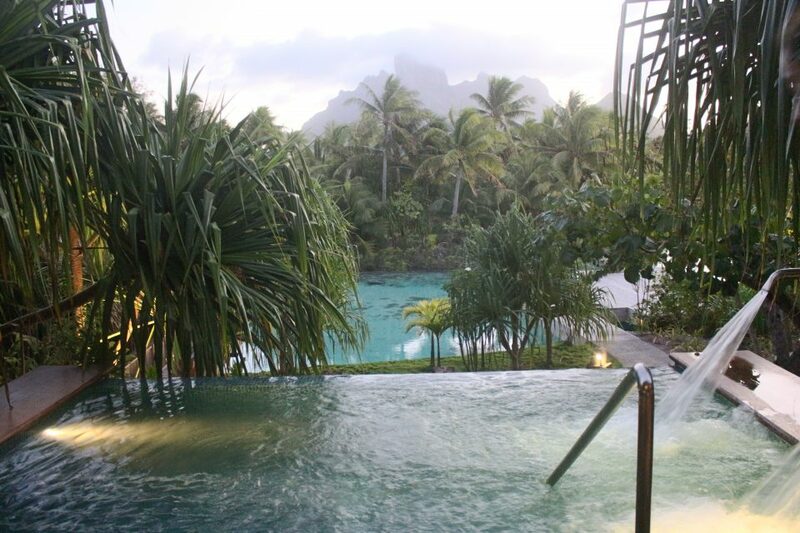 Spa and jacuzzi nestled in the lagoon. 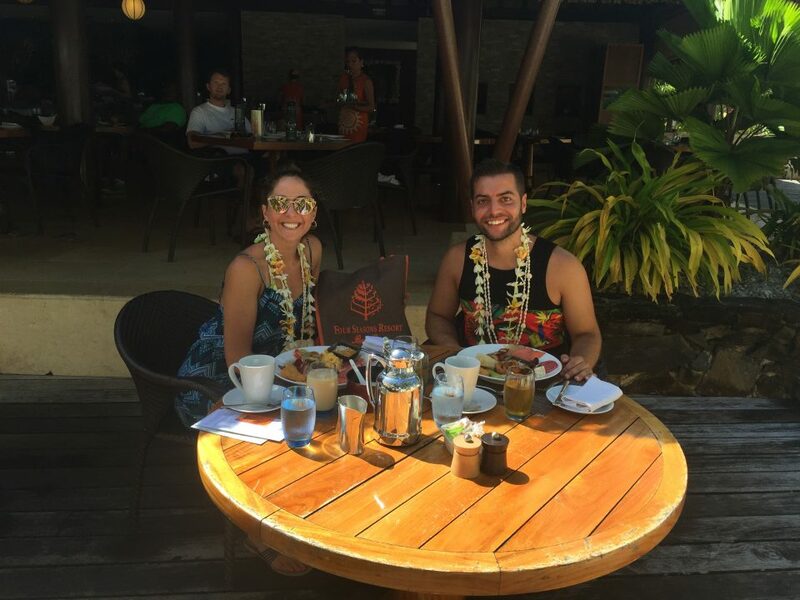 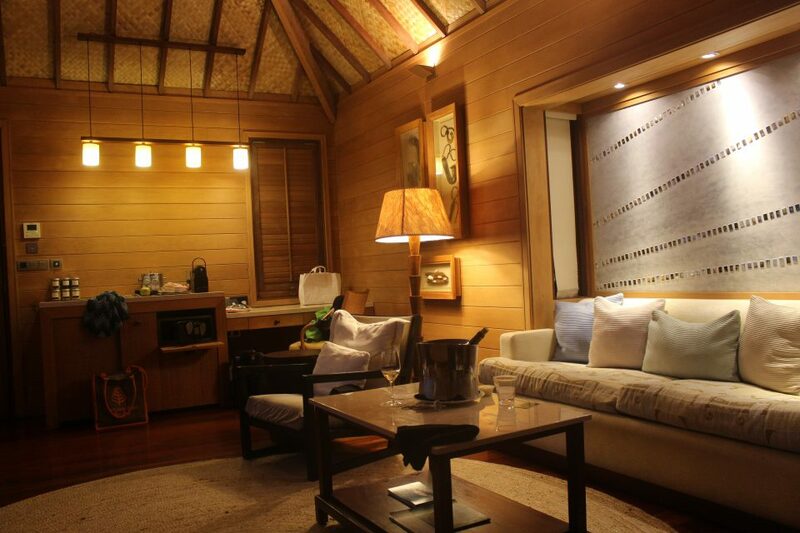 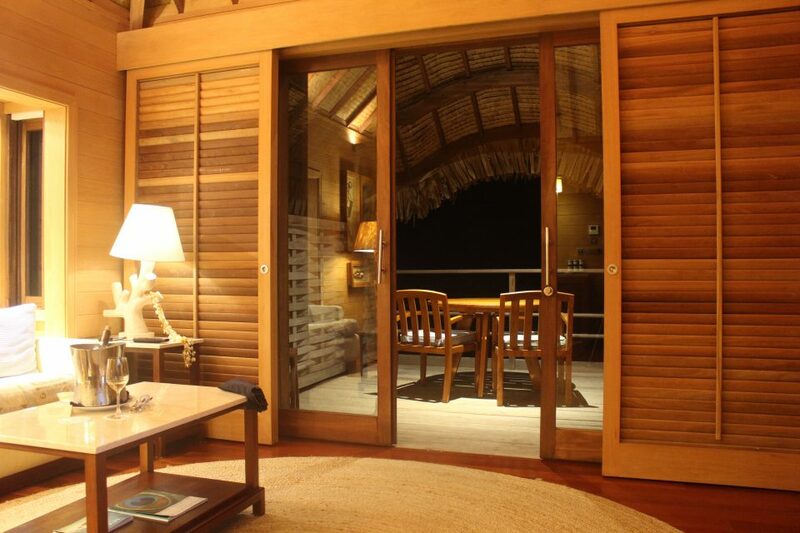 A couple of photos of the inside of our spectacular overwater bungalow.